Today has finally seen the release of the overhauled Google Maps, and a smaller news note that was hidden in that announcement is that Google Latitude will be retired on August 9th. Latitude has been Google's location sharing service, although it has never been a very popular option compared to services like Foursquare and Facebook. But more importantly, Latitude has been somewhat eclipsed by Google+ which has its own location sharing service, and one that gets far more use than Latitude. Latitude had always been a strange product. It is baked-in to Google Maps, and had a fairly good feature set, allowing for automatic tracking of location, and check-in prompts or automatic check-ins at locations you set. The problem was always that very few people used it. So, if you're looking for it in the newest Maps update for Android, you won't find it. The standalone app for iOS will be removed from the store, and the Latitude API will be retired, meaning 3rd-party apps that use it will cease to work, unless they switch to Google+ location sharing. Of course, just because Latitude is going away doesn't mean Google is abandoning the location sharing game. 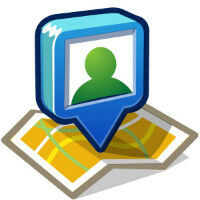 The features of Latitude are going to be split between the Android system and Google+. For example, the location reporting option in Android will remain, but it will share through Google+ rather than Latitude, and you will have to turn the feature on again, Google will not assume you want in to G+ sharing just because you were on Latitude. And, check-ins will be found in Google+ rather than Google Maps.